The wait is finally over! The world’s biggest Metal opera is finally coming to Australia! 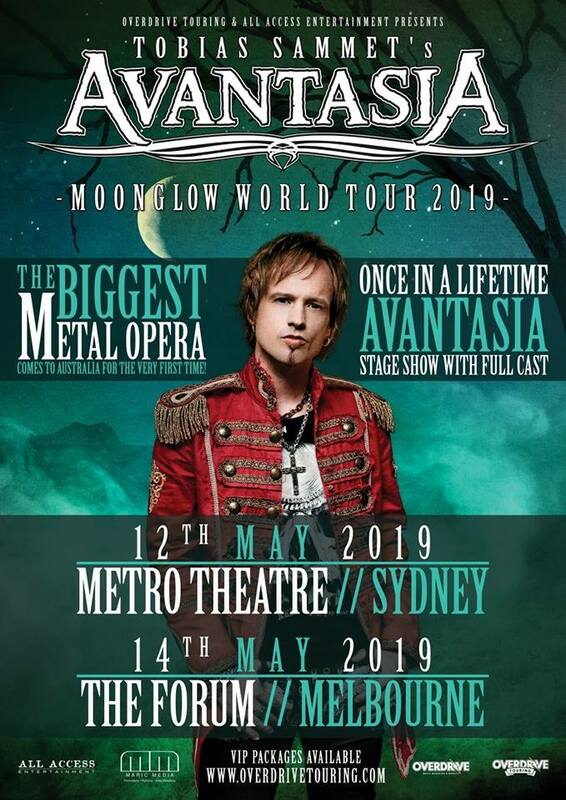 20 years after the release of the original Metal Operas, Musical mastermind Tobias Sammet will bring the full AVANTASIA stage show to Australia! aving blown crowds away with headline sets at both Wacken Open Air in Germany and Barcelona Rockfest while touring their previous album Ghostlights, Avantasia proved they are one of the biggest names in operatic and symphonic heavy music. Sammet is a masterful storyteller, creating epic fantasy worlds that can barely be contained within his sprawling concept albums.They can barely be contained on stage either with Avantasia shows typically lasting for up to three hours! Avantasia – Is a portmanteau of the words Avalon and Fantasy and describes ‘a world beyond human imagination’ Over the course of seven releases, this incredible saga has been crafted by some of the greatest vocalists and musicians from the heavy music world. A literal list of who’s who and the contingent of players tasked to bring Avantasia to life in Australia is sure to impress. Some of these artist will be part of the Australian tour. Exactly who will be revealed soon! It can absolutely be said that Australia has never seen a tour like this. this is a once in a lifetime tour! Do not miss this!